Be prepared - UKIP are now more important to the UK's continued existence than ever - and will be for a few years to come. The EU referendum result is likely to be close (although I have a few quid on 70/30 for out) - this will make GE2020 the real show down. Labour and Lib Dem (what is left of them) will go into GE2020 saying the negotiation has failed but was unnecessary and that #BRExit should be cancelled. Conservatives will go into GE2020 backing the weak renegotiation they will have managed which will amount to the 'associate EU membership' they wanted all along. However if Remain win, Lib Lab Con will go in as same old, same old. But whatever the result of the referendum Leave or Remain, UK Independence Party will go in on a full an immediate exit - content to go with World Trade Organisation terms if needs be. UKIP cannot declare this as it would be used to exclude them from the two years of negotiations that would follow a Leave vote, and they must at least try to make it real 'brexit' (No EU Fees, No EU Laws, No EU Passports) - however given the comments made by the Conservative (so called) Leave supporters I have no doubt they have no real intention of leaving - just of manoeuvring. Given a leave vote, GE2020 will be the EU's 'second referendum' - the one they always have when the people give them the 'wrong' answer. Radio Free UK - Top #BRExit Videos. Do share any you like!! The EU Commission - The end of 800 years of English Democracy and Liberty. The Commission is the European institution that has the monopoly on legislative initiative and important executive powers in policies such as competition and external trade. It is the principal executive body of the European Union and it is formed by a College of members composed of one Commissioner per Member State. It also chairs the committees responsible for the implementation of EU law. The former comitology system has recently been replaced by new legal instruments, implementing and delegated acts. Here in the UK, people often have a slightly confused view of government and parliament. This is because our government is made up of elected MP's chosen from parliament by our Prime Minister who is also an elected MP,. We don't really see government/parliament as that different we focus more on the 'party of government' and 'party of opposition'. Compare this to the USA where they have two houses (The Senate - like an elected house of lords, and The House of Representatives - like our elected 'backbench' MPs) but their government (the executive) is the separately, directly elected President and anyone who he appoints as his 'ministers', none of whom have to have been elected or ever have been a Senator or Representative. 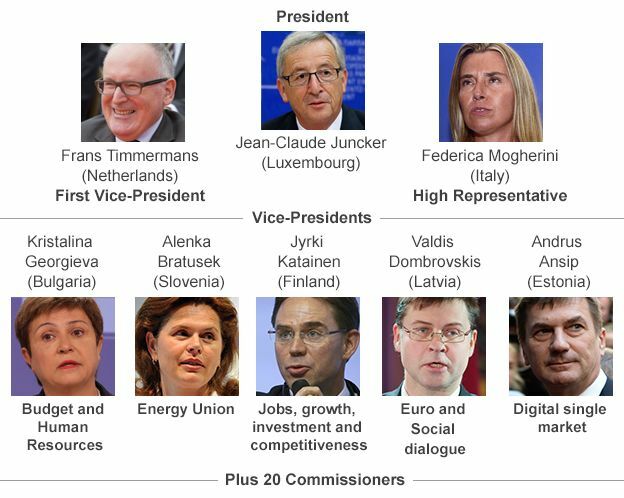 The EU has the worst of both of these worlds - unlike the UK the EU government/executive is not made up of elected MEPs, it is appointed by unelected bureaucrats - but further even the president who runs it all isn't elected either! 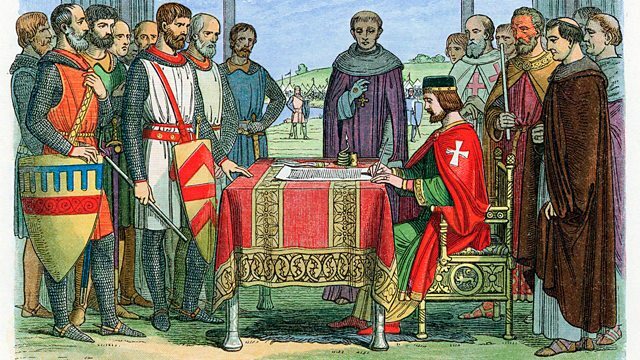 The EU president may as well be like the English King John who ruled as absolute monarch until he was put under the 'Magna Carta' which established in law the rights of the English to be ruled by an elected parliament to whom even the King was answerable. The EU government strips away 800 years of the best of English liberty and democracy. It is horrific that this has been allowed to happen - and even more horrific that people are arguing to let it continue by voting to remain in the EU at the upcoming referendum. The Great Tory #BRExit Con. If UK convincingly votes 'remain' all bets are off, the UK is dead and we are history. If UK votes for BRExit, Cameron will resign, Boris will take over and start (supposedly) negotiating our exit deal. This will be completed ready for the 2018 UK general election - and the general election will be presented as a second referendum on brexit. Conservatives will go into GE2018 taking a win as support for their 'new improved' remain deal (associate membership). It will be essential for UKIP to be in GE2018 and to win it - as they will (again) be the only part completely committed to brexit. And the only person I trust to lead UKIP doing this is Nigel Farage - whatever his faults, he is the only big name politician I trust to genuinely deliver brexit, because he is the only one who really believes in British values, British culture and a British future.